The bacon craze for cookies is here! Sounds interesting, huh? Quite the combination! 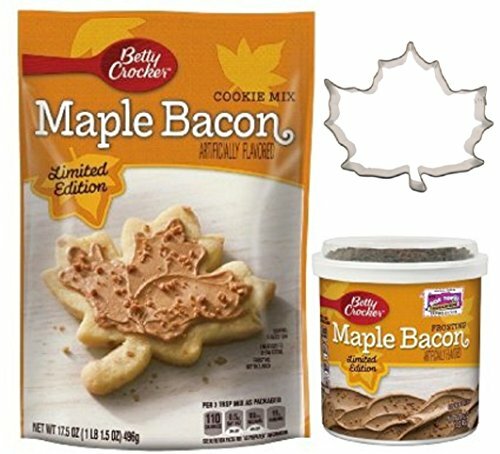 As I was walking around in the store one day I saw a cookie mix flavor called Maple Bacon. It said ‘Limited Edition’ on the package plus the mix is by Betty Crocker. I’m not the biggest fan of bacon so this was going to be something new to try for sure! Although, bacon in my cookies? When I got home I read the instructions. 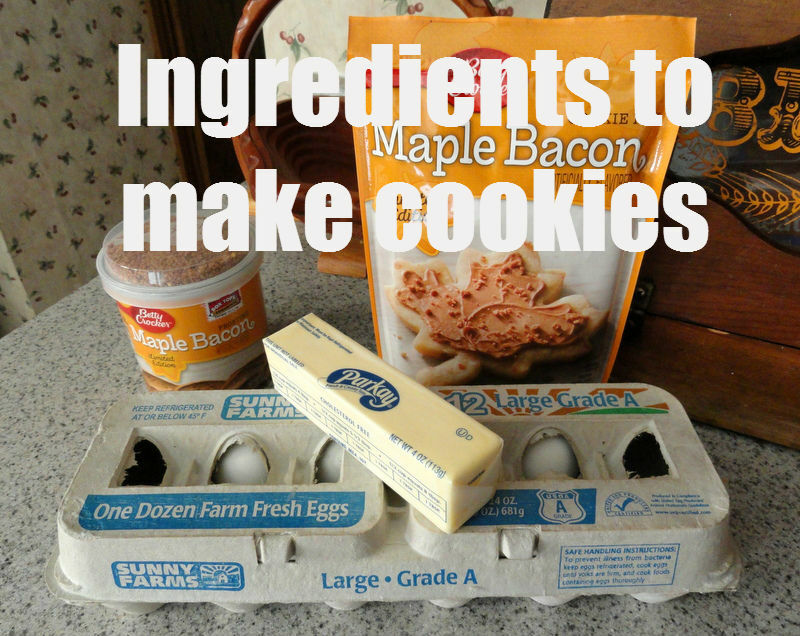 They are made like any other standard cookie but with bacon bits in the dough. I thought this was going to be interesting. So I whipped up the mixture just as the package said which is easy. 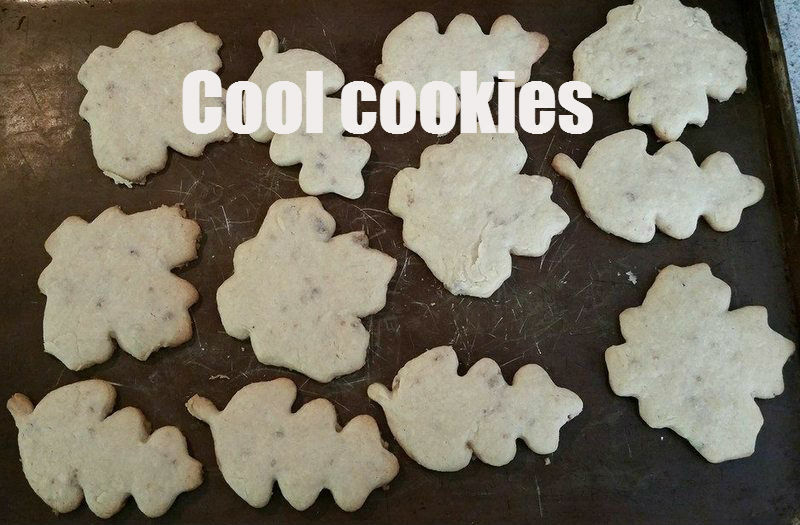 It says drop by a teaspoonful onto cookie sheet but I made leaf designs instead. I picked up a few cookies cutters in the store while I was getting this new flavor to try. 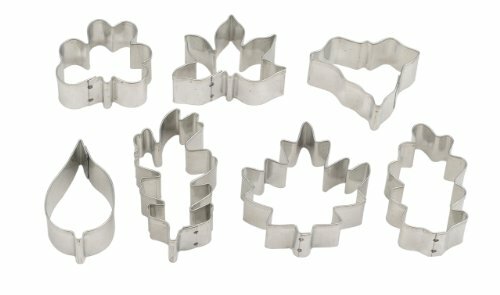 The directions don’t say to use cookie cutters so that’s on you. I got two different kinds. As the cookies were baking I could smell the bacon. 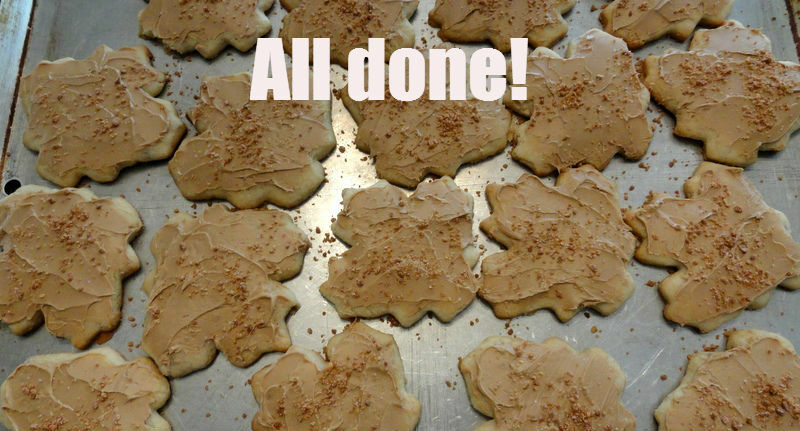 When the cookies were made and cooled I frosted them with non other than maple bacon frosting. Actually the frosting is maple flavor. 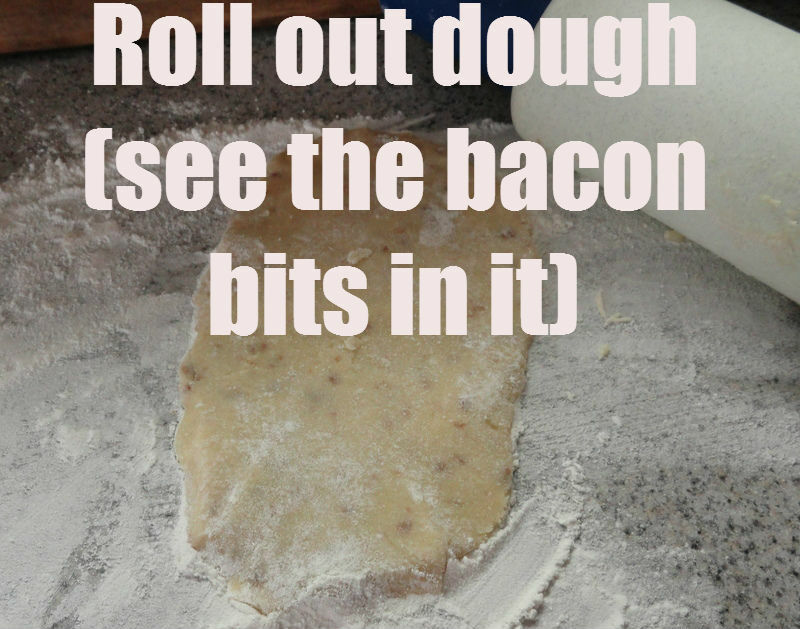 You sprinkle the bacon bits on top separately. With the combination of bacon in the dough and in the frosting I thought, boy these are really going to be bacon flavored for sure. 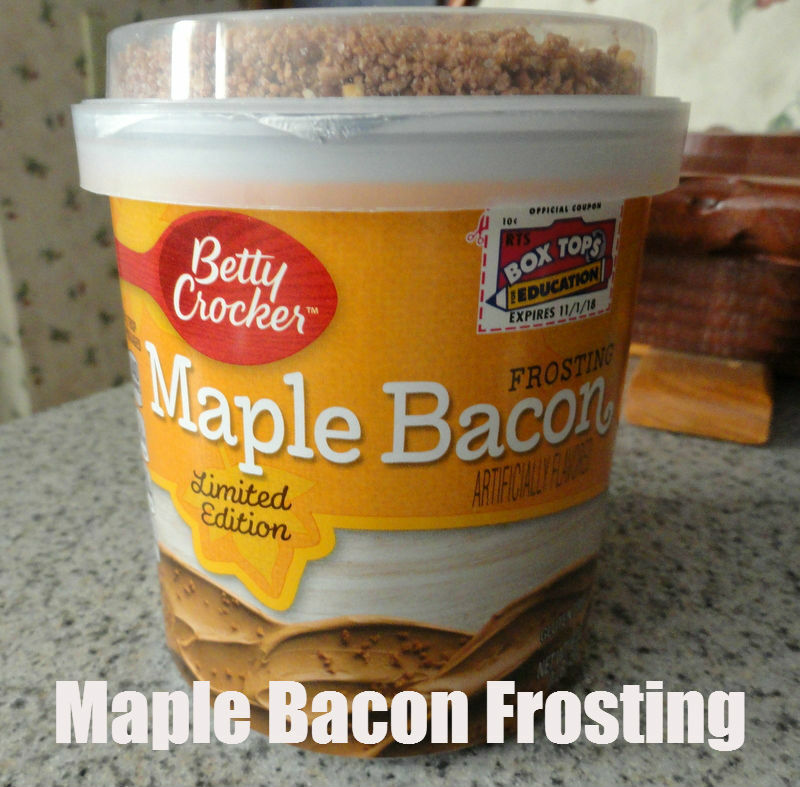 With the maple frosting on top it sets the flavor complimentary with the bacon. It was an adventure making these. They turned out quite tasty. 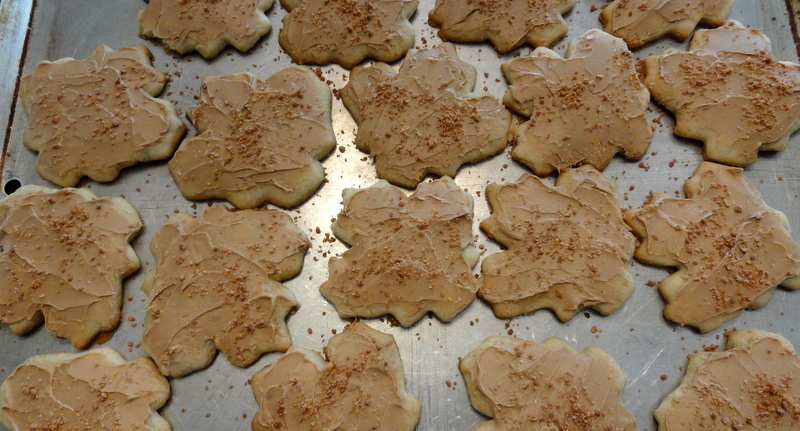 These maple bacon cookies are for fall time. It you love bacon these cookies are for you! 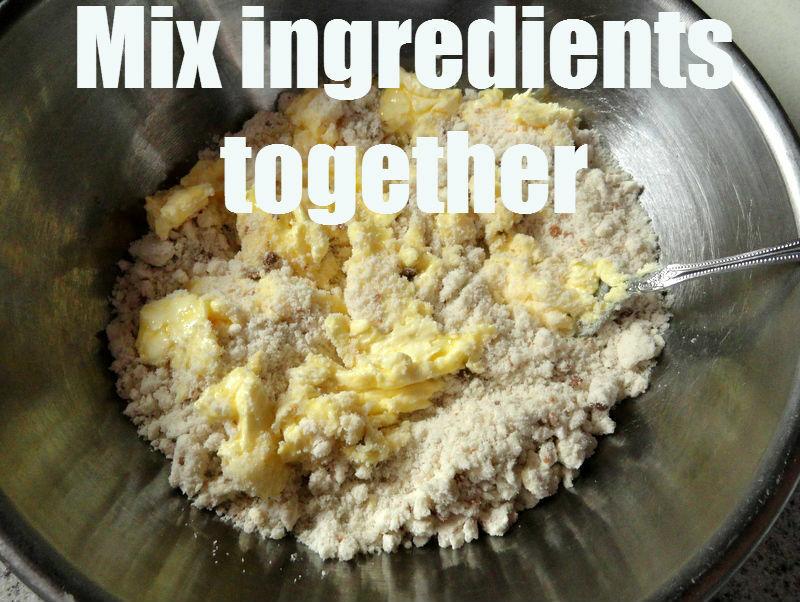 In a medium bowl stir cookie mix, stick butter and egg together. Then divide dough into 2-3 parts. Sprinkle some flour on counter. Flour helps so dough doesn’t to stick to counter. 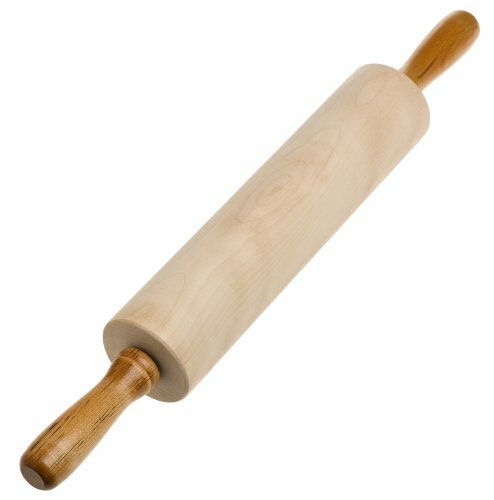 Use a rolling pin to roll dough out on to the counter. 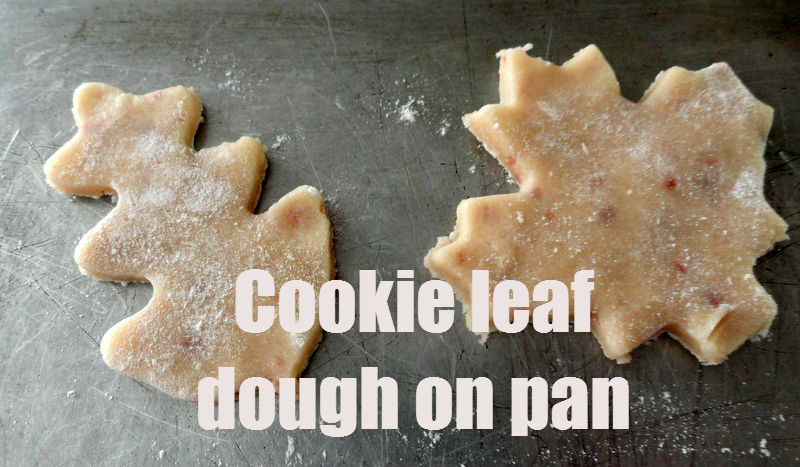 Use a leaf cookie cutter to put into dough. 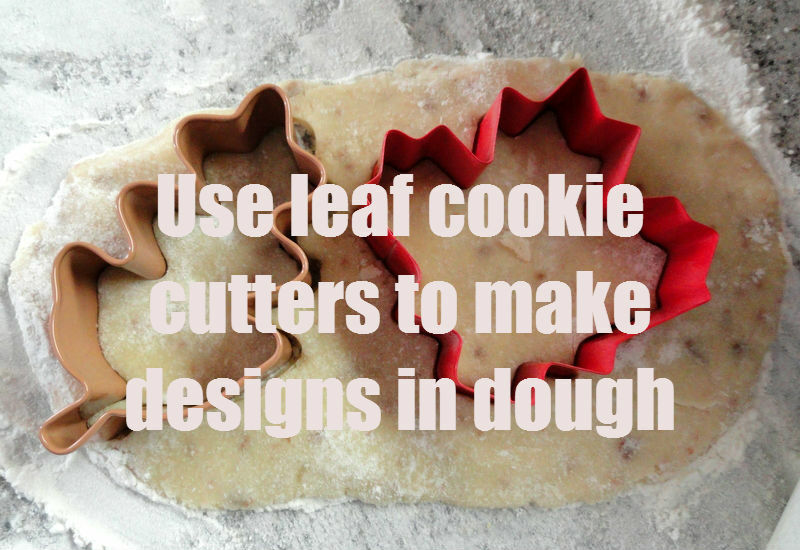 Gently remove from leaf cookie dough design from cutter to put onto cookie sheet. 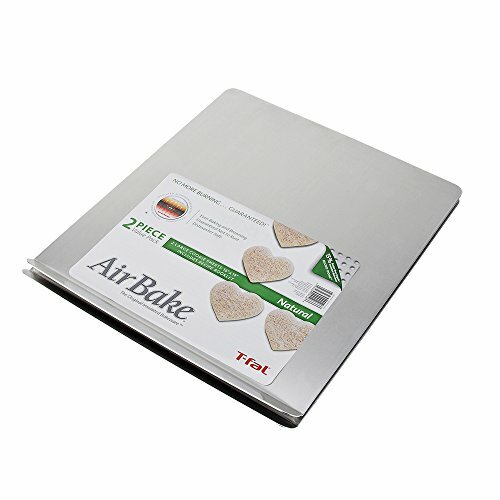 Repeat until cookie sheet is full. 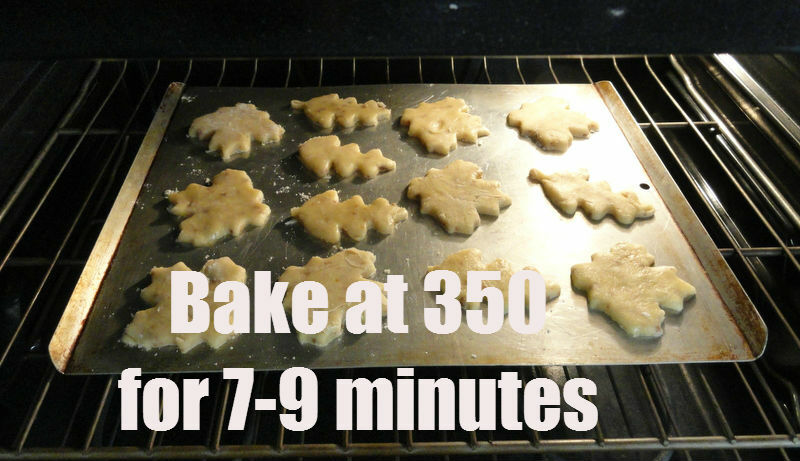 Bake for 7-9 minutes. 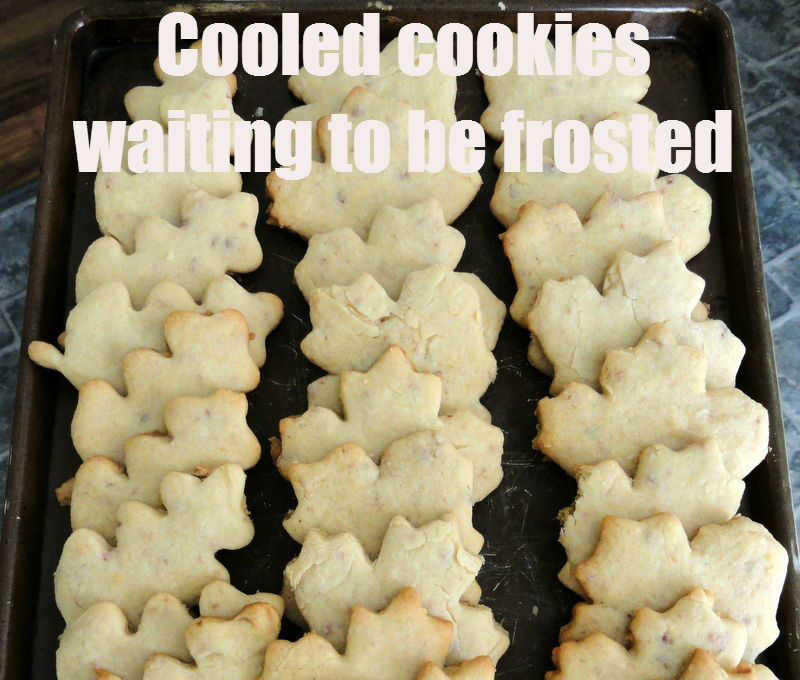 Watch cookies so they don’t get to dark on bottom. 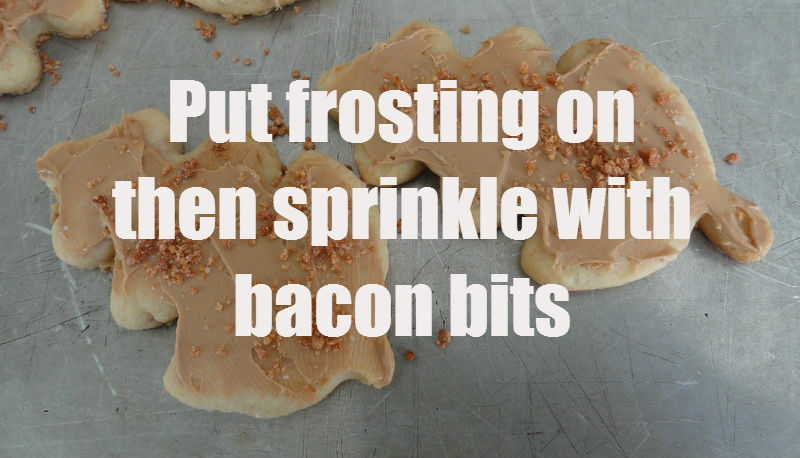 Frost with maple bacon frosting and sprinkle bacon bits on top of the frosting. Tip: You can use 2 tbsp. 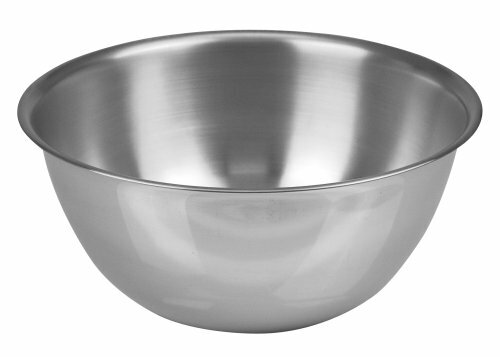 water, ½ cup vegetable oil as well the 1 egg in your in cookie mix.